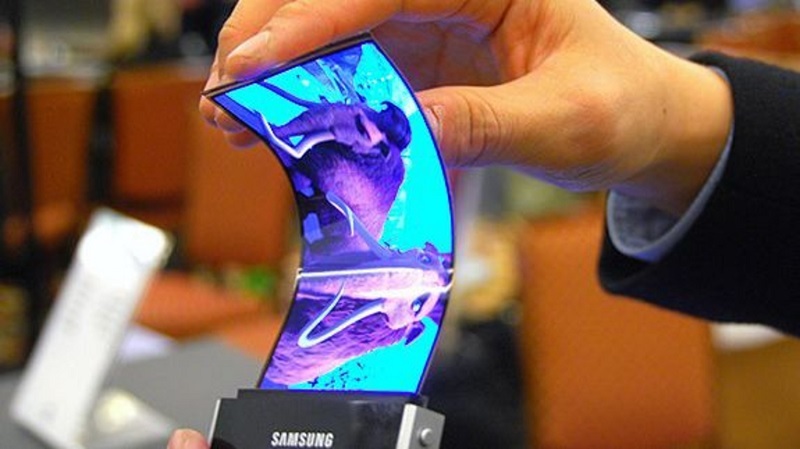 Samsung is currently preparing a unique smartphone with a foldable display, and according to the latest reports from SamMobile, this handset will be launched in January next year. At this stage the device is only known by its codename 'Project Valley' and a model number (SM-G929F), with reports suggesting it will be similar to the Galaxy S6 Edge+. Samsung has enjoyed experimenting with unique smartphone designs in the past few years, including the S6 Edge+ with its two curved edges, so it wouldn't be surprising to see another experimental phone launched early next year. The display is clearly going to be the highlight of the handset, as it's expected to feature an AMOLED panel that can be folded into a V-like shape when closed. Details on what the handset will look like and how it will operate are a little sketchy at this stage, though a recent patent filed by Samsung indicates it could have some sort of clamshell-like hinge that attaches to the display. Samsung is allegedly testing two variants of Project Valley: one with a Qualcomm Snapdragon 620 SoC, and another with the flagship Snapdragon 820. Other rumored specs include 3 GB of RAM, a microSD card slot, and a non-removable battery. According to SamMobile, Samsung's foldable smartphone will only be launched in a handful of countries, including South Korea, the United Kingdom, and several Eurozone nations. The United States is missing from that list, but as the phone has yet to be announced, that could change.